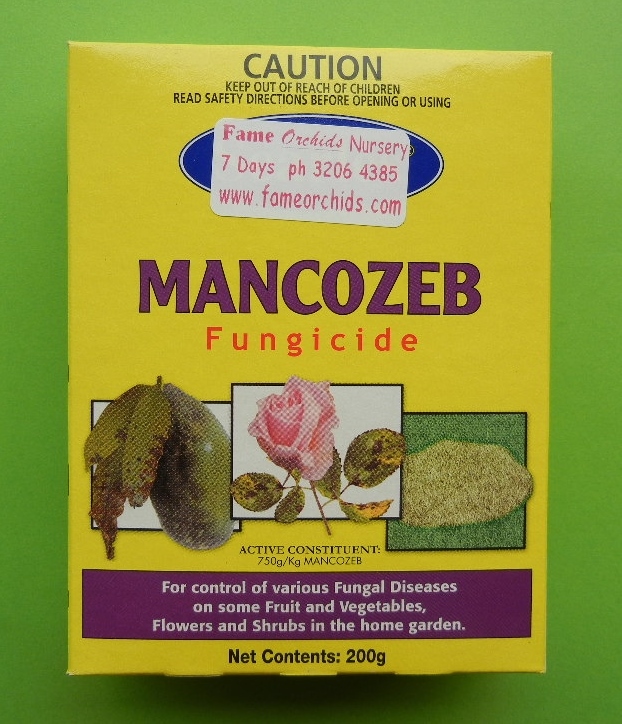 Mancozeb Fungicide should be applied regularly to all Orchids, Ornamentals, Vegetables. When applying Fungicides a wetting agent should also be added. Mancozeb Fungicide is also compatable with mixing with some Insecticides as well. Mancozeb acts like a mechanical protectant against Fungus, Black Spot and Botrytis.